In 1980 John Noel Smith moved from Dublin to Berlin with the intention of remaining in Germany for perhaps twelve months; twenty-two years later he finally returned to his native country. Yet Smith’s long exile should not be regretted since it proved beneficial for the development of his work, a maturing process which, like that of certain other artists, could only have taken place at some distance from Ireland. Smith could be reckoned the painterly equivalent of Beckett, the eloquence of both men being achieved through the disciplined disposition of their respective languages. For some three decades Smith has repeatedly returned to the same tight sequence of forms and motifs and yet still not exhausted their potential. Intentionally eschewing more traditional destinations such as New York or London, he arrived in Berlin just as that city was once more becoming a vibrant centre of creative activity. ‘Berlin was electric’, he remembered shortly before his departure from the German capital. ‘Everyone was painting. Many painters lived here and those who didn’t came regularly’. Among the better known German artists of the period were Richter, Baselitz, Penck, Kiefer and Lupertz. Yet Smith chose not to go down the then fashionable path of figurative Neo-Expressionism but instead remained true to abstraction. 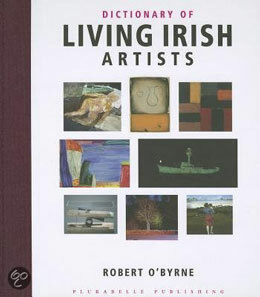 Dictionary of Living Irish Artists.